← April 16th Music Night Saturday Success! Aw yeah. 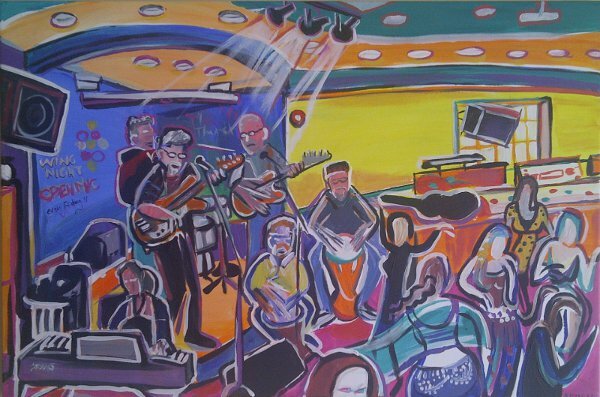 We’ve been immortalized – here’s a live painting by the awesome Sharon Hodgson, done during of the Resolutes gig we played for Themba Project and now hanging at the club.